Our range of products include designer printed henley neck t-shirt for boys, trendy polo neck t-shirt for boys, boy's solid round neck t-shirts, solid round neck t-shirts for boys and casual wear polo t -shirt for boys. Make your kid shine amongst his friends in this Self Designed T-shirt from Harbor N Bay. joggers and loafers, to complete his easy-going look. 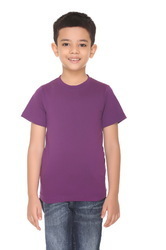 Make your boy look adorably graceful in this Solid Premium T-shirt from Harbor n bay. Made of comfort cotton Fabric, this polo T-shirt is soft and super comfortable to wear. Offering an amazing fit, this T-shirt will go well with white shorts and Crocs. 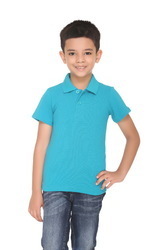 Make your little master look stylish in this Solid coloured T-shirt from Harbor N Bay.Not only is it superbly comfortable, it is high on trend appeal that makes it a perfect one for a funfilled evening. 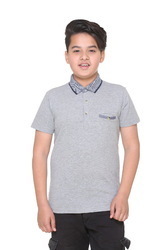 Your little boy will look super smart wearing this Solid polo T-shirt from Harbor N Bay.stays true to its classic design, with its pristine hue and clean styling making it an apt pick for your son’s summer wardrobe.